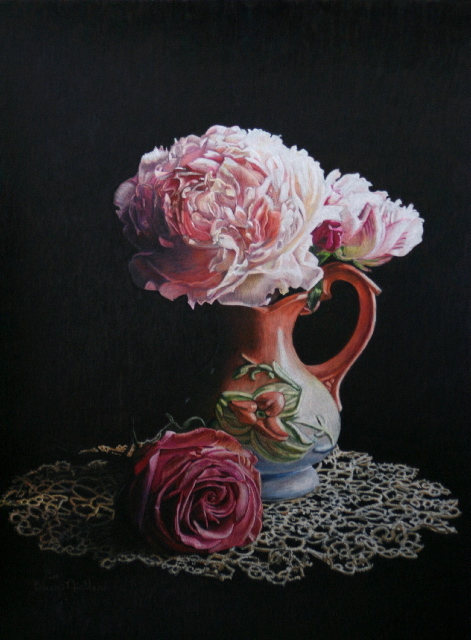 This week I will be shipping my painting Peonies, Rose and Tatted Lace to Santa Fe. It is a beautiful show. I linked it to this blog. What a beautiful time to go to Santa Fe. When I lived there the Indian Summer was my favorite time of year.